Growing up I always enjoyed marshmallows. My brother taught me to eat them directly from the bag that my mom always seemed to have hanging around in the cupboard for future baking projects. 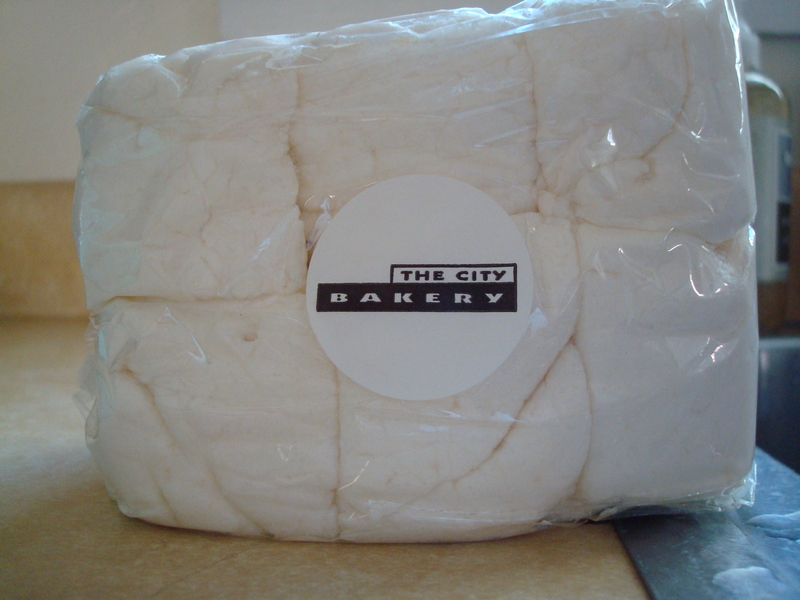 However, I did not know that marshmallows could in fact be life-changing until I had the homemade ones at City Bakery in New York. Fortunately for me they sell them by the bag so when I was in NYC for work in December I bought two bags to take home. This weekend I wanted to bake something that featured these beautiful, pillow-like marshmallows and thought what goes better with marshmallows than chocolate? My brother’s girlfriend gave me some awesome German chocolate for Christmas so I thought I’d use that and make some brownies. 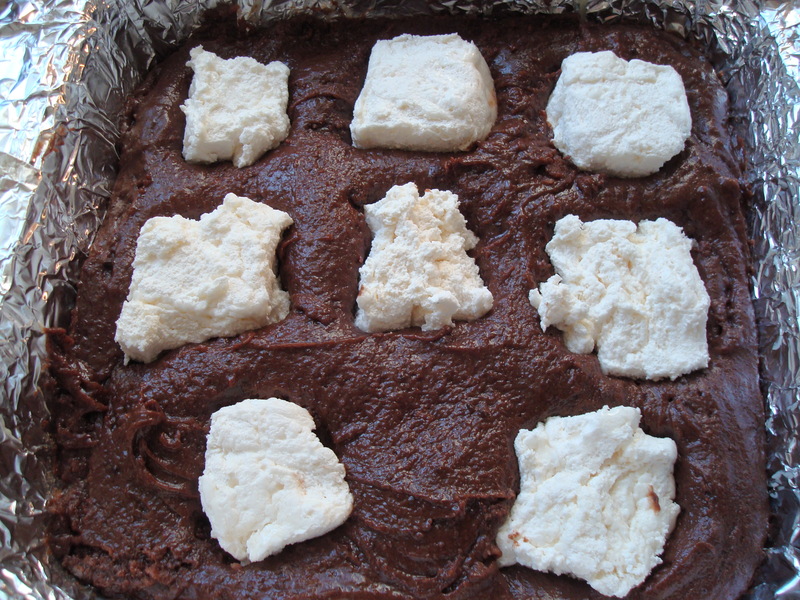 I did all sorts of searching on the interweb for the perfect marshmallow brownie but was not feeling it for any of the recipes I found. Then I remembered that around this time last year I made some award-winning brownies and thought I would adapt that recipe to incorporate the marshmallows and voila. 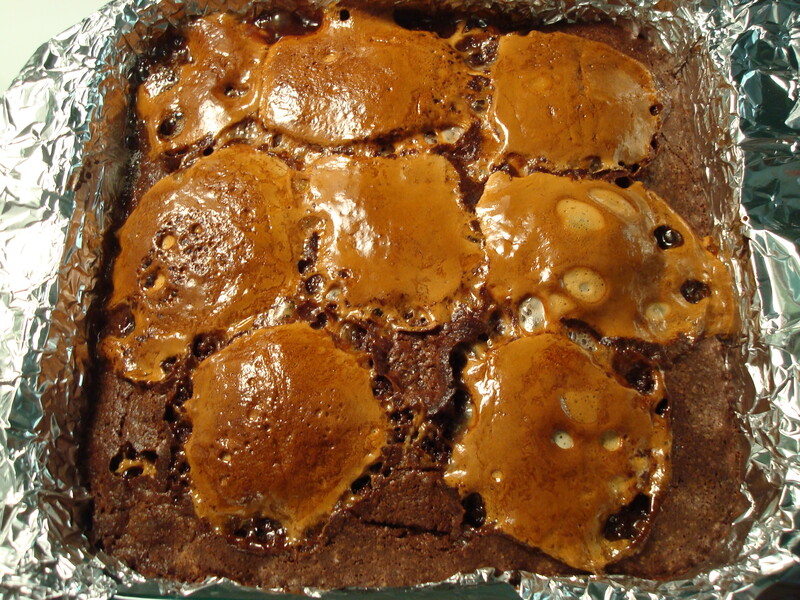 The results were a fudge-y brownie with nice caramelized, almost crusty marshmallow bits on top. Preheat the oven to 350°. 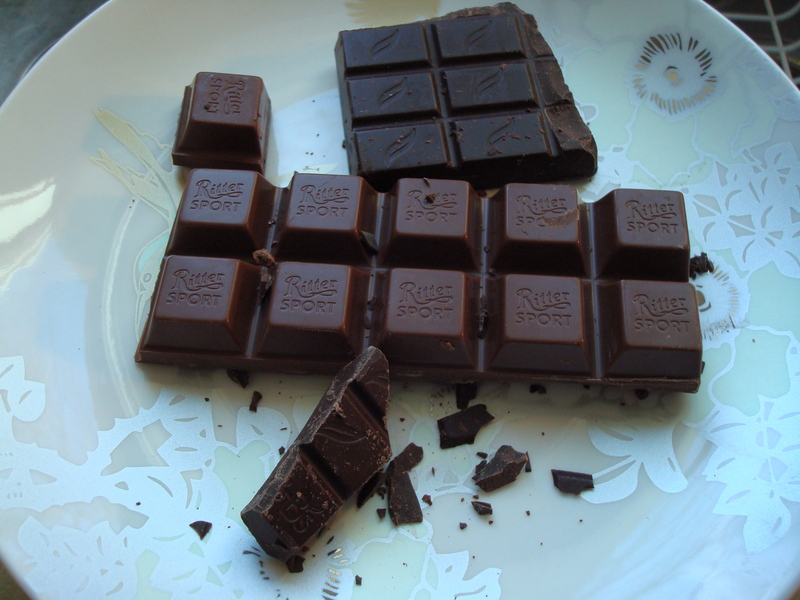 Place a large piece of foil in a 9-inch square metal cake pan, draping the foil over the edges. Grease foil with butter. 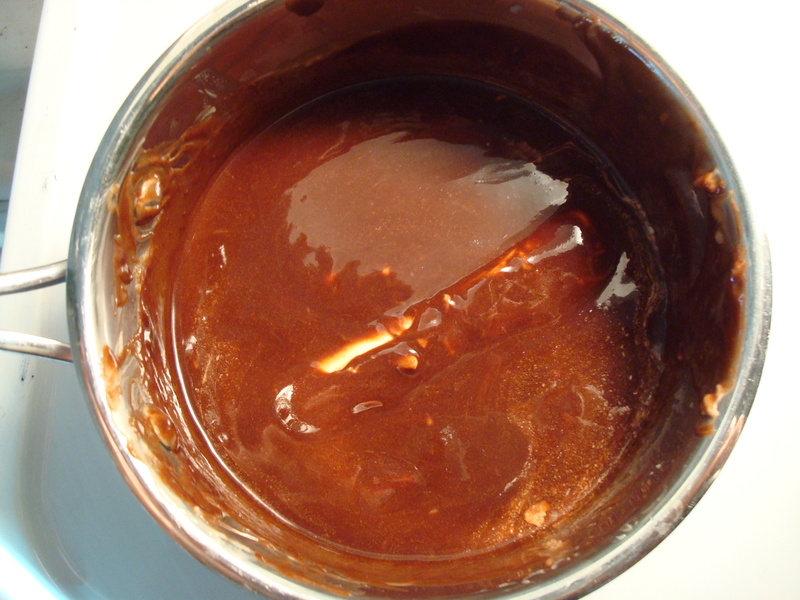 Melt the 1 ½ sticks of butter with the chocolate chunks over very low heat, stirring occasionally. Remove from the heat. Whisk to combine. Add the cocoa, sugar, eggs, vanilla, and flour. Whisk to combine, though be careful not to over mix. Pour the batter into the prepared pan and smooth the surface with a rubber spatula. Insert whole marshmallows into brownie batter. These look super yummy. My daughter is a big fan of chocolate and marshmallow – I might just have to make these for her!! OMG, Now you’ve gone and done it. I won’t be able to resist this…anyway to get those marshmelloowss on the net? You have the best plates. Have you ever made your own marshmallows? That’s on my to do list…. I have not made marshmallows before but I think I will try this winter since I’m almost out of my City Bakery stash and I understand it’s relatively easy to do so yourself. How am I supposed to start my P90X meal plan with you and all the evil deliciousness you create??? 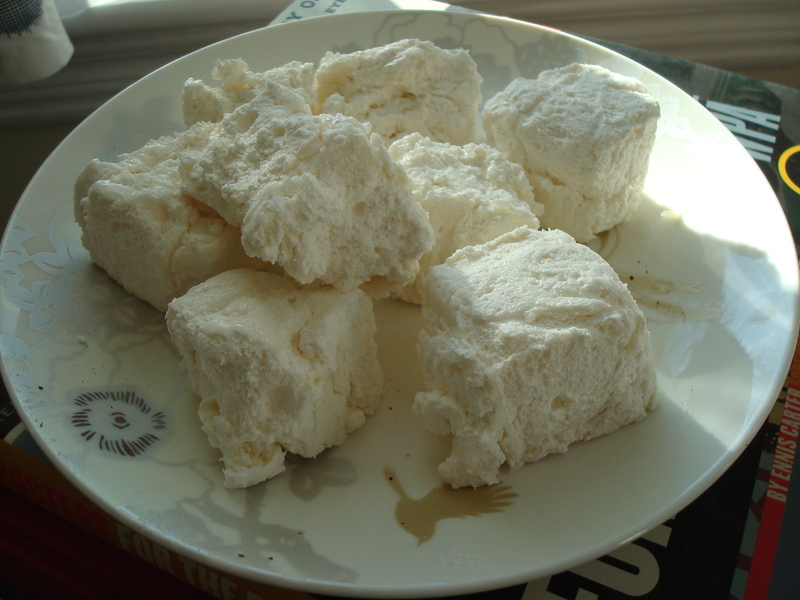 Homemade marshmallows are ridiculously easy to make as long as you have a Kitchenaid Mixer. I’ve used the raspberry and chocolate recipes from Not So Humble Pie repeatedly. The raspberry recipe is my favorite, and it’s also good made with tart cherries. It’s settled then. I’m making marshmallows this weekend!